Interested in interning at the state Capitol next winter? Attend an info session during the lunch hour on Tuesday April 30th in WCG 209. 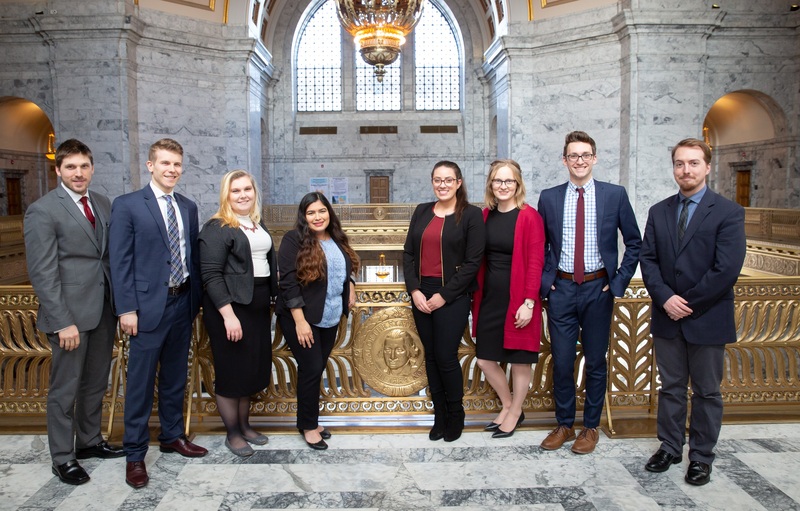 The Washington State Legislative Intern Program offers a terrific opportunity for undergraduate juniors and seniors from all majors to learn the legislative process while gaining professional work experience. Interns are placed in the office of a state senator or state representative with similar interests. This past winter session, 8 UWT students were selected to participate. This is a paid internship, and you’ll receive 15 academic credits. If your major is PP&E or Law and Policy, the internship satisfies your capstone requirement. More information on the program can be found on the program’s web page. Applications will be due next October. Information on the application process is available on the program website. Watch a 4 minute video on the program that features former UWT interns (go to link above and scroll down). This winter eight UWT students spent the winter quarter working for the State Legislature as members of the state’s Legislative Internship Program. About 60 students statewide are selected each year, and this year UWT had more students participating than any other school. Interns work directly for members of the Senate or House. On the House side, Rania Elbasiony (senior, Law & Policy) interned for Reps. Chopp, Sullivan and Peterson; Alex Morrison (senior, Politics Philosophy & Economics) for Reps. Schmick, Tharinger and Dent; and Kegan Ross (senior, SIAS) for Reps. Leavitt and Fey. Alex Seddon (senior, Politics, Philosophy & Economics) worked in Sen. Mark Mullet’s office, Alexandria Swanson (senior Law & Policy) for Sen. Ann Rivers, Maria Colocho (senior, Law & Policy) for Sen. Mona Das, Shelby Wideman (senior, Politics, Philosophy & Economics) for Sen. Patty Kuderer, and Andrew Volgelgesang (senior, Politics, Philosophy & Economics) for Sen. John Braun. 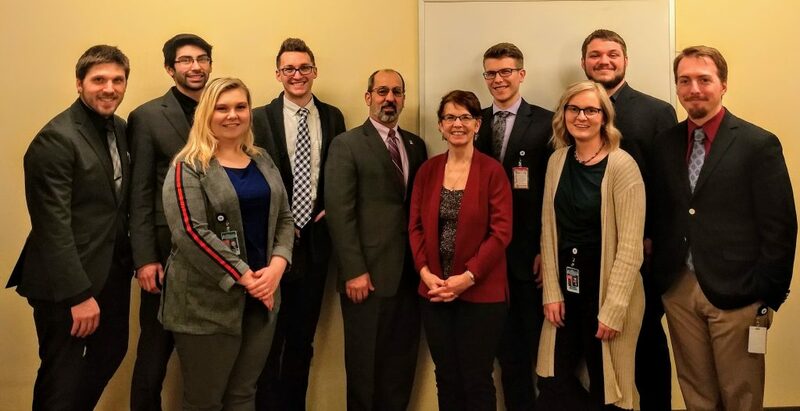 The internship requires a full time commitment for the winter term, although many of the interns have opted to remain for the rest of the session, which is scheduled to finish at the end of April. All students earn 15 credits, and complete substantial academic work in addition to their work with the Legislature. 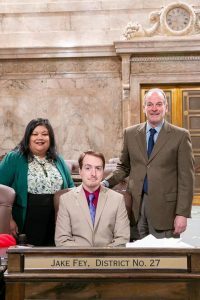 Three other PPPA students also interned in Olympia this winter. 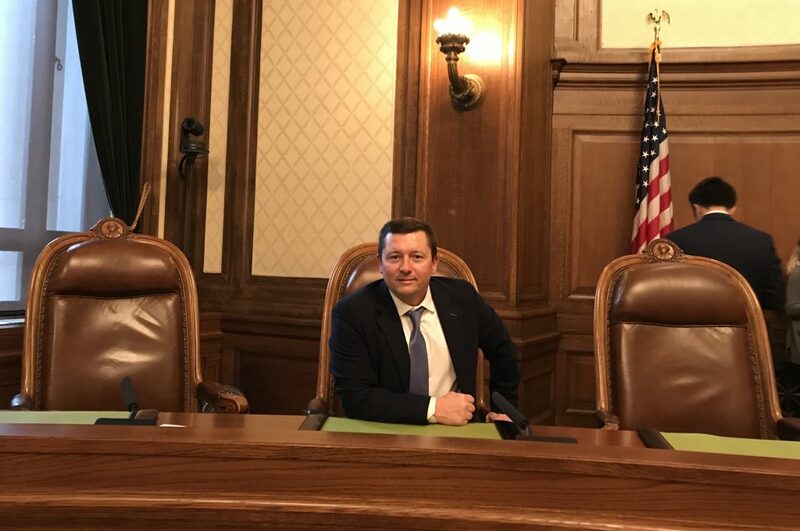 Walter Smit worked full time for the Washington State Secretary of State’s Office, a position that had him testifying twice before Senate and House Committees. 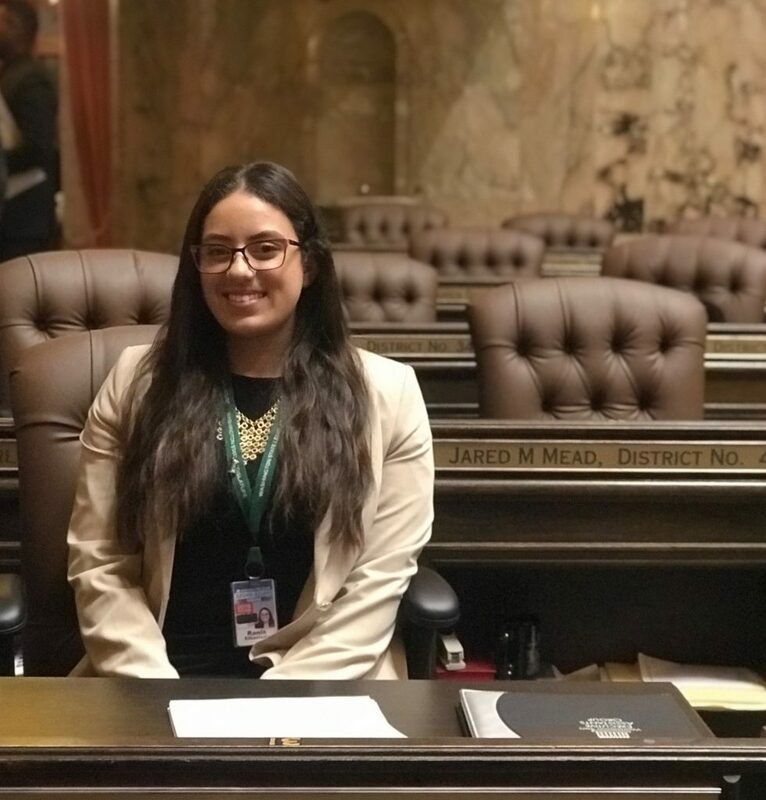 Theresa Leo interned with the Washington State Board of Education; and for the second year in a row, Adan Espino spent the quarter lobbying in Olympia on behalf of UWT students. Consider an Internship this Winter! 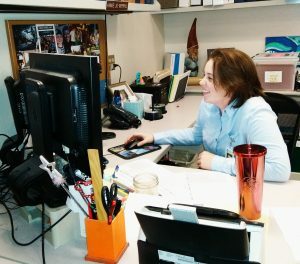 We have a number of terrific internship opportunities available, from working for members of the US Congress, to interning with the Pierce County public defender’s office, the County Prosecutor, to working for the city of Tacoma. There are additional opportunities in Olympia, such as working with the Attorney General’s office, the Secretary of State, the State Auditor.or the State of Washington Commission on Asian Pacific American Affairs. We also can offer internships in policy, such as with the Washington Policy Center in Seattle. If interested in learning more, attend the session above. If interested but not able to attend, contact Professor Katie Baird (kebaird@uw.edu), as space in the internship is limited! This quarter, PPPA students have been hard at work in the community through their internship placements. In this final post, we share updates from three more of our interns. 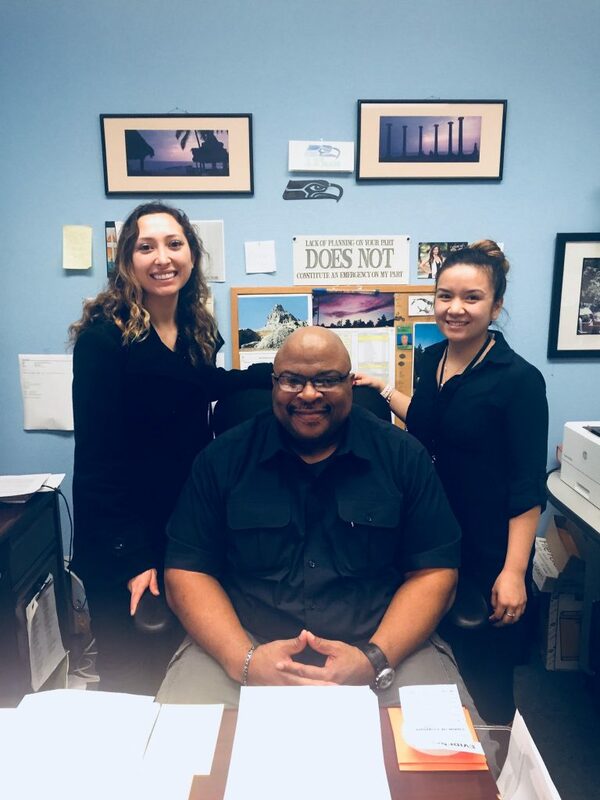 Gabi Gutierrez (L) and Autumn Nguyen (R), pictured with Glenn Glover, Chief Investigator at the Pierce County Department of Assigned Counsel. 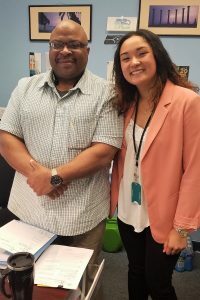 This quarter, PPPA students have been hard at work in the community through their internship placements. 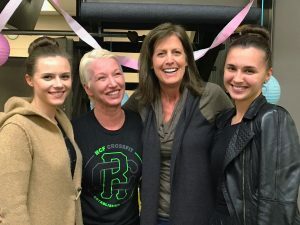 In this first of two posts, we share updates from four of our interns. 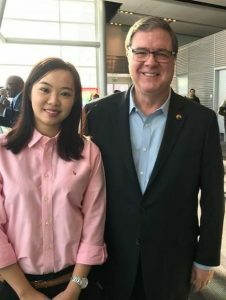 Lily Wong, pictured with Congressman Denny Heck. 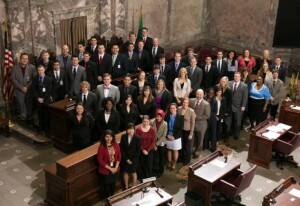 This quarter, four UW Tacoma students have been hard at work in our state’s Capitol. 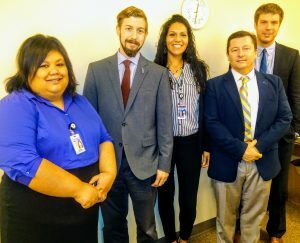 Andy Brown, Monica Cysensky, and Barbie Weaver are participating in the Washington State Legislative Internship program, and Adán Espino, Jr. is UW Tacoma’s student lobbyist in Olympia. As the quarter draws to a close, we’re checking in with these students to learn about their experiences so far. Andy Brown, a Law and Policy major, is working for Senator Steve O’Ban, Legislative District #28. Andy Brown, pictured at the Supreme Court Bench. UWT grads are increasingly walking the halls of the state capitol! This year, three former students are employed as Legislative Assistants for members of the legislature. All three got their feet wet in state politics through their participation in our internship courses. Anna Nepomuceno (far left) is the LA for Rep. Jake Fey (D-27th District). Anna graduated last year with a major in Politics, Philosophy and Economics. Derek Zable (second from left), is the LA for Rep. Roger Goodman (D-45th District). He graduated five years ago, and also majored in PP&E. Nick Russell (far right) works in Sen. Hans Zeiger (R-25th District). He too was a PP&E major, and graduated three years ago. Last month the three alums met with our current interns in the state legislature. Shown here are Barbie Weaver (center) and Andy Brown (second from right). Not shown are interns Adan Espino and Monica Cysensky. 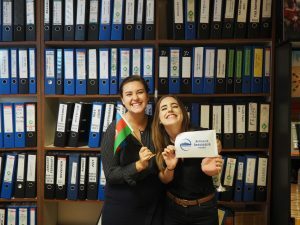 This quarter, four of our students have interned in various locations, most in Tacoma, but one in far-flung Azerbaijan! Aaron Guzman (left), is graduating this quarter in Politics, Philosophy and Economics. 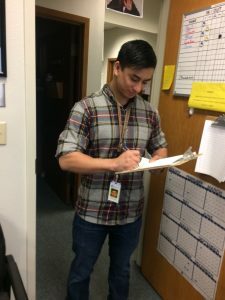 This quarter he was an investigative intern with Pierce County’s Department of Assigned Counsel, working with alleged criminals during pre-trial procedures. “I’ve been learning a lot about investigations,” Aaron says. “My supervisor provides us with real world experience, and I enjoy going to court houses and jails. Now more than ever, I’m interested in a career in federal law enforcement.” Aaron’s supervisor Glenn Glover calls Aaron a “great asset,” and was glad to have him join their team. Free LSAT Courses at UWT! Class of 2018 Heads to Law School!